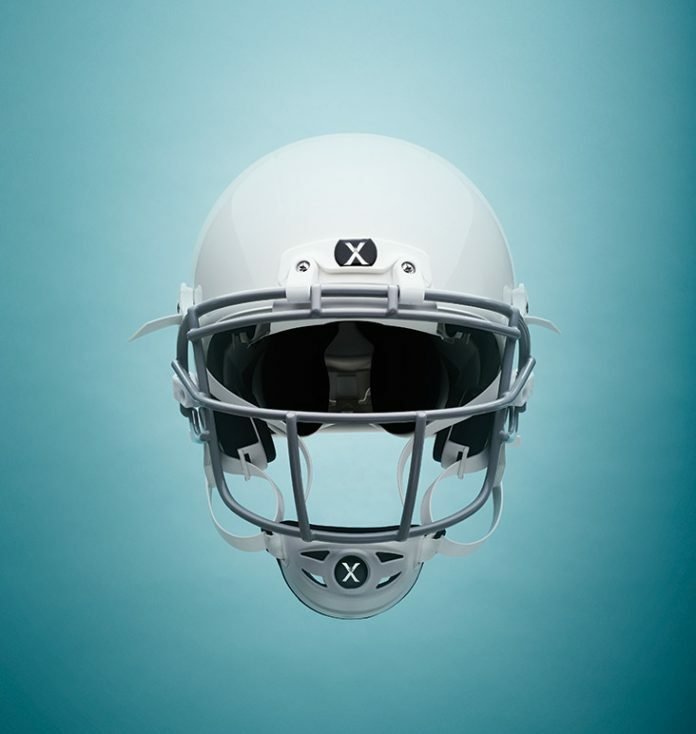 To withstand multiple impacts, primarily from other players and other helmets; distributes impact of force over a larger area. Required; various styles permitted, depending on position played (more coverage for position like lineman, where there’s lots of impact; less coverage for position like kicker). Either foam padding, thermoplastic polyurethane (TPU), molded cone padding, or air shock absorbers; covers almost all of inside of helmet. Required; cups chin tightly and keeps helmet in place during impact. ‣ Helmets should be comfortable and fit snugly. ‣ They should be level—not tilted back over the top of the head or pulled too low over the forehead. ‣ They shouldn’t wobble loosely back-to-front or side-to-side. ‣ Chin straps should be securely buckled to hold the helmet in place during a collision. ‣ Try on a helmet before purchasing it.